So, I got these guys in my CSA box last week. Aren’t they purty? 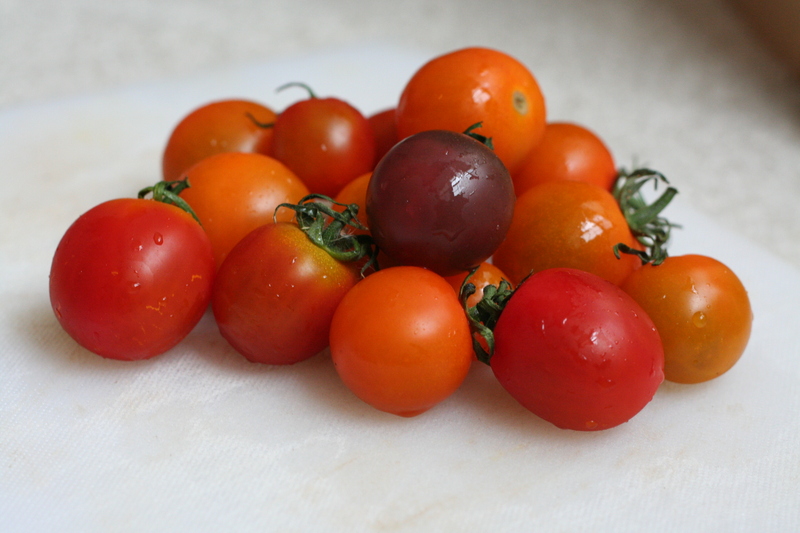 They were getting a little jealous of all the beautiful tomatoes I saw at the market over the weekend. They were annoyed that I wasn’t giving them the proper attention and having a photoshoot with them! Well, I had special plans for them. I saw Jenna’s recipe for Gnocchi with goat cheese, grape tomatoes, and basil, and immediately starred it in my Google Reader. Tomatoes + Basil + Goat Cheese? Yes please. I mean, what doesn’t taste good with goat cheese? Especially when the recipe calls for a “log” of it (6oz). 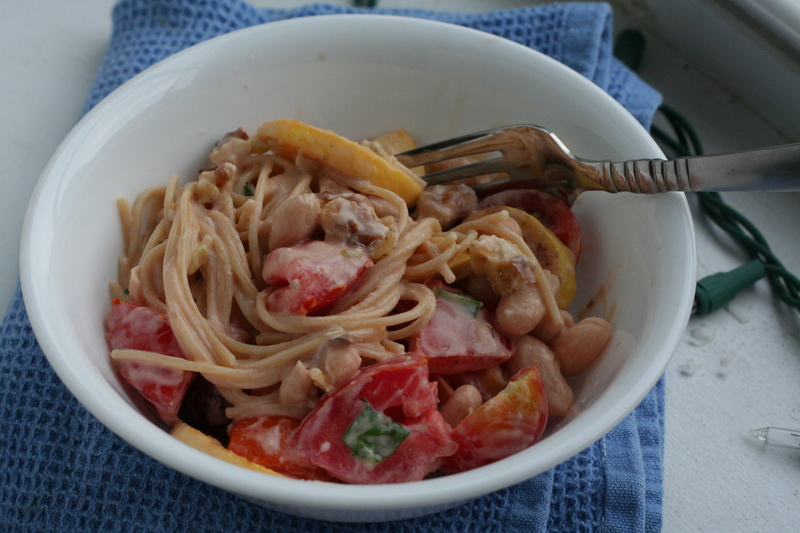 I wanted a bit more protein in my meal too, so I looked in my pantry and pulled out some cannelini beans. I also found some walnuts while in there, which I thought would be a nice addition too. There’s a lot more in my pantry…but yeah, its a little very disorganized and not exactly blog worthy. What else from my CSA needed to be used up before Wednesday? A squash! My take on Jenna’s pasta dish was formulating very clearly in my head at this point. While you are waiting for you water to boil and pasta to cook, saute the squash in a little EVOO. Turn off the heat, and add the tomatoes and beans. When the pasta is done, drain the water, reserving about a half cup of the water. Dump the pasta into the pan with the squash and tomatoes. Add the water and cheese to the pasta and veggies. Stir well to melt the cheese. Stir in basil and walnuts. Question of the day: What’s your favorite food combo? nom nom nom. 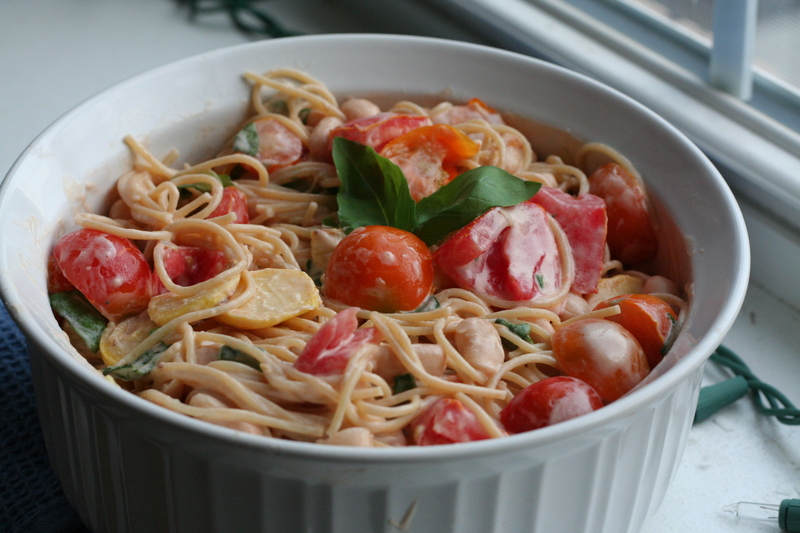 I LOVE using goat cheese and pasta water to make an amazing bowl of pasta. That was the first time I’d ever done it! Definitely going to make that a regular thing! Way to work with what you’ve got on hand! Looks more than amazing. 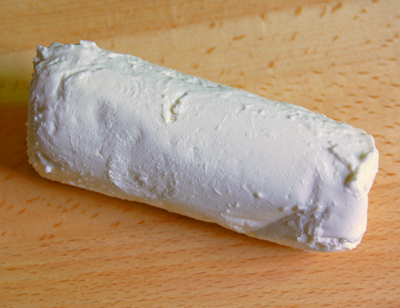 Goat cheese is my favorite. Oh my gosh, yum! I need to make this! I LOVE goat cheese too! And it’s super easy to make it into a pasta sauce!! The food looks amazing! Can’t wait till I get my fresh tomatoes this season.